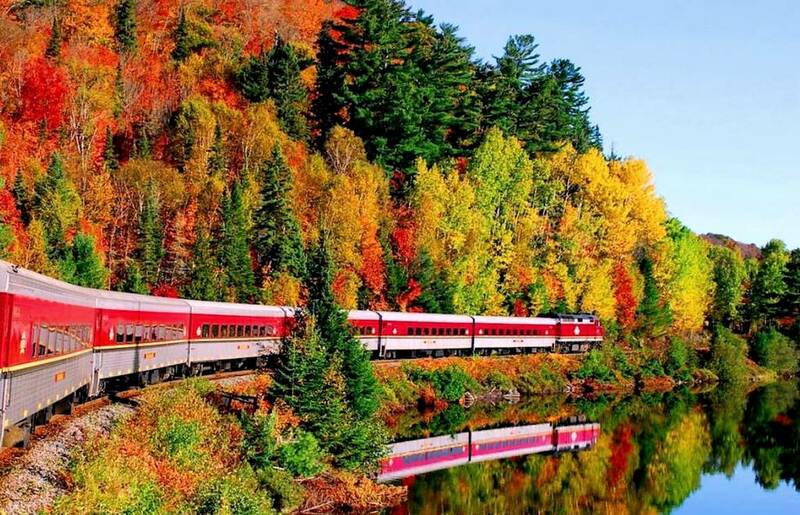 We added one extra day to our classic Agawa Canyon Fall Colours Tour to create this triple-whammy of a trip that allows you to experience the glory of the fall colours in Northern Ontario by all three modes of transportation: Train, Road AND Boat! 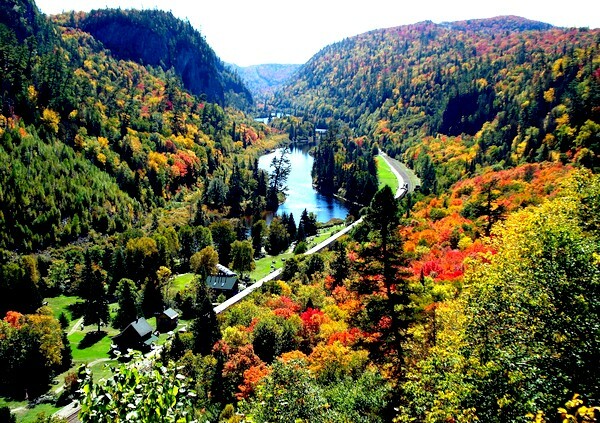 This tour includes the Agawa Canyon Train Tour. This is followed the next day by a road trip as we follow the coastline north of Sault Ste. Marie to Lake Superior Provincial Park with its striking views of the lake, waterfalls along the way and roadside sand dunes and rock formations. And the day after that, on our way back to Toronto, you stop in Parry Sound and experience the 3-hour afternoon boat cruise on Georgian Bay aboard the Island Queen. Wow! Only $79 pp deposit required to reserve your seat. Deposit is non-refundable. This tour is entirely in Canada, passports are NOT required. Two nights hotel accommodations in Sault Ste Marie included. One night hotel accommodations in Sudbury included. Three breakfasts at hotels included. Boxed lunch on train included. Camp style lunch near Lake Superior Provincial Park included. Agawa Canyon Tour Train Ticket included. Guided bus tour to Chippewa Falls and Lake Superior Provincial Park included. Visit to Canadian Carver & Agawa Crafts Outlet in Batchewana Bay included. 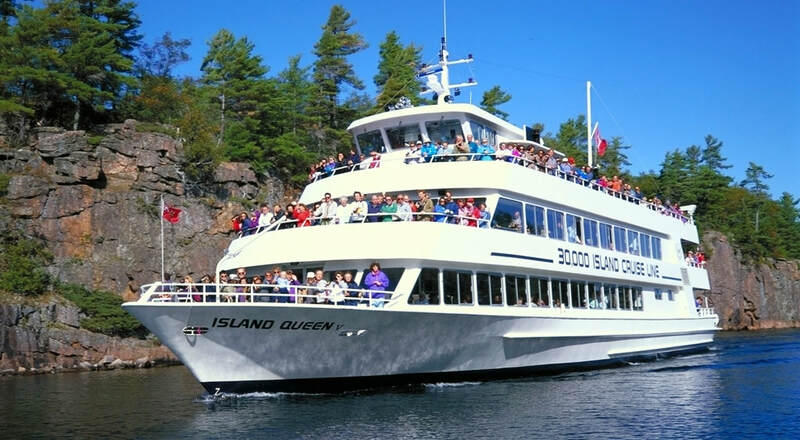 3-hour Georgian Bay cruise on Island Queen ship in Parry Sound included. Complimentary WiFi at both hotels included. Optional evening trip to OLG Casino in Sault Ste. Marie included. Complimentary bottled water and snacks throughout the tour included. $79 pp deposit required to reserve your seat. Deposit is non-refundable. Full payment required by Monday August 27, 2018. Reminder emails will be sent closer to the payment due date. Deposit of $79 required to reserve your seat. Deposit is non-refundable once seat has been reserved. Full payment of balance due Monday August 27 2018. Full payment is non-refundable once paid. 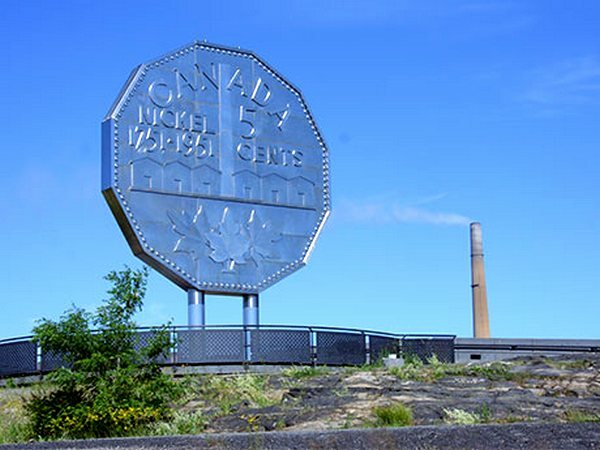 Our bus drive heads north along the Trans-Canada Highway from Sault Ste. Marie heading towards Wawa. After 10 km or so you will encounter one of the first real reasons to take this drive ... Mile Hill. Mile Hill will afford you an amazing view of the region’s forests as you descend along it. 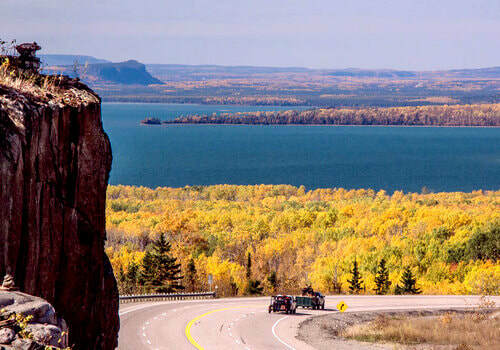 The road follows closely along the coast of Lake Superior, as you pass Batchewana Bay and Pancake Bay. The ancient lava that helped form the Canadian Shield is evident here along with multi-coloured granite and quartz. We will make a stop along the way to view the Chippewa falls and also at the Canadian Carver and Agawa Crafts. ​Family owned and operated for over 30 years, Agawa Indian Crafts and the Canadian Carver remain dedicated to providing a wide array of authentic and unique crafts and artwork by Canadian and First Nation artisans. The Island Queen is a modern 132 ft. cruise ship, specially designed with easy maneuverability and a shallow draft, allowing the captain to meander into remote waterways and up-close to the natural beauty of the islands.